CHICAGO -- He'll turn 36 in January, but Marian Hossa still puts fear into opponents whenever he enters a game for the Chicago Blackhawks. "He scares you every time he gets on the ice," said Anaheim Ducks coach Bruce Boudreau this week before his team managed to keep Hossa and the Blackhawks at bay in a 1-0 Ducks victory at United Center. "He's got a tremendous release of his shot. He's really fast, deceptively fast and strong, and he really plays the [right wing] position well." Hossa is creeping up on 1,000 points in his 17th NHL season (465 goals and 533 assists in 1,099 games) but Boudreau wasn't just paying him lip service. 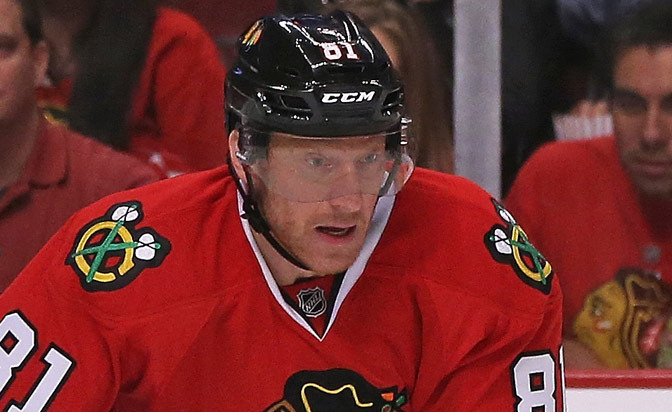 He still views Hossa as a dominant two-way presence and he's not alone. There might be a lot more involved in Hossa's pregame stretching and warm-up routines, but once games start, he's still a force. "He's a great player," Boudreau said. "There's a reason you win two Stanley Cups in the last four years, and he's been in four Stanley Cup Finals now. He's just a great player. When he gets 1,000 points, it's well deserved, and I think the number could be an awful lot higher, but he's been hurt quite a bit in his career." Indeed, injuries have hampered Hossa's ability to accrue points during his time spent with five teams. He's had back and shoulder issues. He's had a knee injury. Some required long stretches of missed games. Others were more routine. None changed his ability to affect games almost singlehandedly. "He's been the same player for a number of years and that's a huge compliment," Blackhawks left wing Patrick Sharp said Wednesday following a practice Hossa missed while recovering from the loss to Anaheim. "He's been an elite player for a long time, and you lose track of how many goals he has over a career, how many points. But when you hear it's 1,000 points, that's pretty special. Hopefully we can get him that soon." The next opportunity arrives Thursday at Canadian Tire Centre in Ottawa (7:30 p.m., CSN-CH, RDSI, TSN5) against the team that drafted Hossa with the 12th pick in the 1997 NHL Draft. Hossa broke into the League with the Ottawa Senators in 1998 and played parts of seven seasons with them, scoring 390 of his 998 points (188 goals) in 467 regular-season games. Even though Hossa wears a Blackhawks uniform, it'd be fitting for him to reach the 1,000-point plateau during a visit back to Ottawa. "[There's a lot] of history, lot of good history for him [there]," Chicago coach Joel Quenneville said. "I don't know if he'd say it, but I think he would love to do it [there]." Hossa wasn't available to speak with reporters Wednesday, but getting him to admit that wouldn't be easy. It's doubtful he would admit to any personal gratification gained from reaching such a milestone against the team that traded him in 2005 to the former Atlanta Thrashers. Even if he did, it would probably get packaged with numerous compliments about the Senators and their fans. "Even though he's a special player on the ice, I know it's cliché, but he's a better person off the ice," said Blackhawks forward Kris Versteeg, who admitted to being a fan of Hossa's prior to joining the League. "He cares about everyone. He takes his time to help people, as you see with the illnesses and certain things like that. He's the ultimate pro's pro." That includes a well-known collection of transportation options. 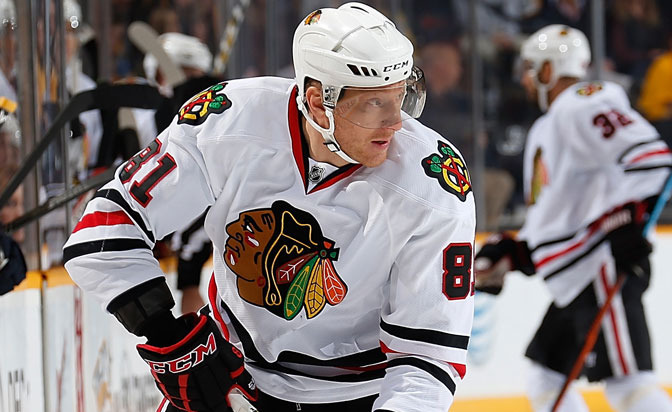 One of Hossa's favorite hobbies involves buying and driving high-priced automobiles, which are the envy of teammates. How many of Hossa's cars does Versteeg covet, for instance? "Oh, all of 'em," Versteeg said, smiling. "He's not driving a '79 Caravan. He's got a lot of really nice cars and he's worked really hard for every single car he's got and everything he has. All of his vehicles, I'm jealous of." Hossa's abilities on the ice are just as rare. The 6-foot-1, 207-pound Slovkian still patrols the right wing impressively, but he wasn't always such an imposing two-way player. He steadily added the defensive part as seasons passed, until he became the puck-hounding presence he is now. He gets as much thrill out of chasing down pucks and causing havoc defensively as he does creating goals. That wasn't always the case. "In the beginning of my career, I was more of an offensive player than the game I play now," Hossa said. "Over the career, I enjoyed [doing] other things than just [getting] points or scoring goals. I definitely enjoy [a two-way] game." At what point did he start emphasizing the defensive side more? "When I was with Atlanta," Hossa said. "I realized the team there was not as offensive as maybe it was in Ottawa and I changed my game. I think I started learning how to play more defense." He continued that education with the Pittsburgh Penguins and Detroit Red Wings before joining the Blackhawks in 2009 as a free agent. This is his sixth season with Chicago. He's helped the Blackhawks win the Stanley Cup twice, but his abilities haven't dipped. "Maybe I don't score as many goals as I did," Hossa said. "I feel like I've still got the quickness, feel like I have some jump on skates and at this age, obviously, I'm more helping in our zone, I would say, coming back to our zone. There's less opportunity to get the puck for breakaways, but I like the way the game is for me to play and I enjoy it." How much longer can he keep it up? That's the question everybody wonders. Everybody but Hossa, that is. He still has six years left on his contract, but doesn't let his mind wander too far down the road. "I don't think about it that way," he said. "I'll go season-by-season. If I've still got the joy and feel healthy, I love to do it. I know I still feel the same way before each game, the same feeling, and that's a good sign."